Kansas City is creating a safe, healthy environment for all its residents by addressing what impacts health. Donna Young’s mission on this day was a simple one: Make sure that 85-year-old Beatrice Lee had a place at the table. Young hopped into her car—a mobile office, with folders and papers scattered about—and headed across Kansas City to pick up Lee, the matriarch of the Douglass-Sumner neighborhood on the Kansas side of the state border. An important community meeting awaited, and Lee simply had to be there. Lee was born in the neighborhood and never left. She watched her largely African-American community change from the vibrant, closely knit one that she knew in her youth to a depressed pocket plagued by crime and blight. Her tireless attempts to halt the decline had stalled. She needed help. What Lee has been fighting to achieve much of her life—sometimes as a lonely if resilient voice—has become everyone’s fight, now a full-throated chorus of countless people across many sectors in this anchor of the American heartland. 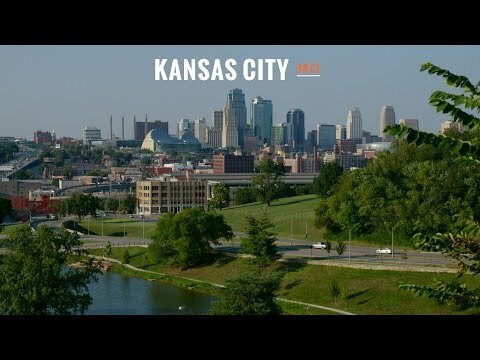 A metro area of a half a million people best known for the Chiefs, the Royals, legendary barbecue and stunning fountains is working diligently, yet aggressively, to give Kansas City something else to be proud of: health equity for all citizens and a culture shaped by healthy living. The challenges here are not for the faint of heart, as segregation and discrimination of the past century created physical and cultural gaps between communities that still exist today. These inequities affect everything from access to healthy foods to education to income to safety and security. This, in a metropolitan area that spans two states, multiple counties and more than 300 square miles. Yet Kansas City, undaunted, has forged ahead. Though no one suggests history can be changed, the partners here have laid out a blueprint for a very different future, one drawn with its citizens, born of collaboration, informed by data and ultimately centered around a holistic approach to health. This clear and deliberate vision is the reason Kansas City, Mo., was chosen as an RWJF Culture of Health Prize winner. A parent reads to a group of children at a Success By 6 and Parents As Teachers resource center at Faxon Elementary School in Kansas City, Mo. Though the city had been working in fits and starts to address the many health issues in need of attention, the seminal moment came with some new data in 2000. The health department’s stunning report succinctly illustrated the depth of the problem: Life expectancy for white residents was 6.5 years more than their African-American neighbors. “We believe where you live shouldn’t determine how long you live. We’re not only concerned with keeping people from dying. We’re concerned with keeping them from becoming ill,” Archer says. To bring lasting change, Archer and other city officials realized that they must address the root causes of poor health, which meant tackling tough conversations on race, stemming the violence, increasing educational opportunities, improving access to care and ensuring economic justice. The stakeholders—from government to nonprofits, from the business community to citizen activists—would need to work differently, of course. But they’d also need to think differently. The Switzer Neighborhood Farm is a community garden on Kansas City's Westside. Taxes for public health: At a time when raising taxes can be political kryptonite, the city has galvanized voters—70 percent of them in 2013—to support the funding of health initiatives via the Health Levy. Structured as a property tax, it was established to fund hospital and public health activities and generates more than $50 million annually. Some of the money is used to provide care for the city’s low-income population. COMBAT, or the Community Backed Anti-Drug Tax, draws more than $19 million annually to fight drug use and drug-related crimes. Education: In early 2012, U.S. Secretary of Education Arne Duncan described in stark terms the challenges facing the Kansas City District School system. This ignited a multiyear effort to transform the city’s schools to create a safe learning environment where students can thrive. Five local health care systems are participating in the national Talk, Read, Play Program, which provides new parents with materials and a book to start their children out on the right foot as they leave the hospital. Other initiatives, such as Success Court, work to redirect at-risk 7th- and 8th-graders in an effort to reduce truancy and dropout rates. And when research indicated that two of every three students in Kansas City Public Schools had endured at least two significant childhood traumas in their lives, The Trauma Informed Schools Program began training teachers and staff to identify traumatized students so that they can receive help—even beyond the schoolyard. Food access: In urban pockets across the United States, “food deserts” that rely on corner-store shopping are all too often the norm. Kansas City is no exception. The Greater Kansas City Food Policy Coalition—a broad alliance of people from government, business and nonprofits—works to bring fresh, sustainable food options to nine underserved counties in the metro area. The Coalition also successfully advocated zoning changes to encourage urban agriculture in formerly vacant lots. Truman Medical Center, in collaboration with the Hospital Hill Economic Development Corp., was able to secure a transfer of land from the city. That plot will house an $11.5 million, 35,000-square-feet grocery store. Kansas City has taken a long view, realizing that even small steps forward will change lives and move the community toward the end goal. Today, instead of staggered progress taking place in institutional silos, agencies that may have once fought each other for limited resources speak the language of teamwork with remarkable fluency. If there was a founding document of Kansas City’s turnabout, it would be the Community Health Improvement Plan, passed by resolution in 2001 in the wake of the striking life-expectancy gap numbers. This plan framed a movement that would ultimately lead to systemic changes. The data-driven revelation also provided a model for the city’s focus on measuring outcomes and sharing these results at every step of the way. This approach is embedded in how they work—from quarterly Citizen Satisfaction Surveys to KC Stat, which helps measure progress on the city council’s strategic priorities based on both qualitative and quantitative data and citizen input. Communities Creating Opportunity (CCO) is one of the driving forces in moving the plan from ambitious concept to on-the-ground reality. Though founded in 1977 in response to unfair housing, the CCO today has a larger footprint. In the 1980s, its mission expanded to encompass a wide range of issues, including health access and violence prevention. The CCO and the health department began sharing office space in 2012. CCO has about 20 trained organizers–like Donna Young. It takes time to build relationships and cultivate trust, so they work long hours during the week and typically clock in on weekends. The meeting to which Young was driving Beatrice Lee was a stop in the mayor’s “listening tour.” The topic: how to allocate some available revenue. Lee, with Young's help, had come prepared. Huddled with other community members in a work group, she shared her ideas for how to best spend the new revenue: Forget property tax relief, she said, and focus on improving parks and finding places for youth to work and play. Her ideas drew nods of agreement and she felt respected. Her voice had been heard. Rashid Junaid talks with a community member at an Aim4Peace barbecue in Kansas City, Mo. Junaid is a violence prevention manager with Aim4Peace, which takes a public health approach to violence. Nothing silences hope like the sounds of gunfire and the cries of grief when another life is taken. In Kansas City’s underserved neighborhoods, violence had become as predictable as the seasons, as inevitable as sunset. The program’s team of first responders—or “violence interrupters”—has literally stood between gun barrels and would-be victims, applying a public health approach to prevent the spread of violence and homicides. Aim4Peace has partnered with the school system as well as faith-based organizations. It was able to identify areas with high concentrations of homicides with the help of the Kansas City Police Department. Conflict resolution is at the heart of prevention, and team members even work closely with the staff at Truman Medical Center, the largest trauma center in the Midwest. Mickie Keeling, a registered trauma nurse at Truman, says her department calls the Aim4Peace peace line after every intentional shooting, stabbing or assault. Interrupters are given access to patients and, if the patient is not responsive, to those who accompany them. Moving forward, Keeling would like to see the program expand to include counseling and mental health care for victims and their families. Another need she sees: more facilities to house victims of violence. Children play at a Success By 6 and Parents As Teachers resource center at Faxon Elementary School in Kansas City, Mo. Though the “cycle” to which Keeling is referring is one powered by violence, the on-ramp to such incidents is often paved with anxiety borne of economic hardship: What can I feed my family? Who will hire me? How can I possibly pay these doctor’s bills? The Urban Neighborhood Initiative—a partnership between the Chamber of Commerce, the United Way of Greater Kansas City and nine neighborhood associations—is investing in change, targeting the city’s urban core. Though job creation, career training and a living wage are at the heart of this effort, it’s much more expansive, including crime-fighting and food access as well as neighborhood renovation and safe play initiatives. The health department and CCO also led campaigns—launched in late 2011—that have dramatic impacts on underserved communities: predatory payday loans and the minimum wage. The effort to raise the minimum wage was successful: In July, the city council approved an increase to $8.50 an hour, up from $7.65 an hour. It will rise to $13 an hour by 2020. The campaign against payday loans is ongoing, but CCO Executive Director Eva Schulte says it is time and energy well spent. CCO has partnered with the Federal Deposit Insurance Corporation as well as banks, foundations and religious organizations to fund a short-term loan program—without triple digit interest. Next Step KC is now an independent 501(c)(3) that offers micro-loans—200 to date—of up to $1,000. These loans go to help families pay bills, fix a broken-down car or even get groceries in an emergency financial situation—and ultimately avoid those predatory lenders. Solutions like these keep arriving in Kansas City, as piece by piece this mosaic of good health is starting to come together to change lives. How to use data to drive action from 2015 RWJF Culture of Health Prize winner Kansas City, Mo.